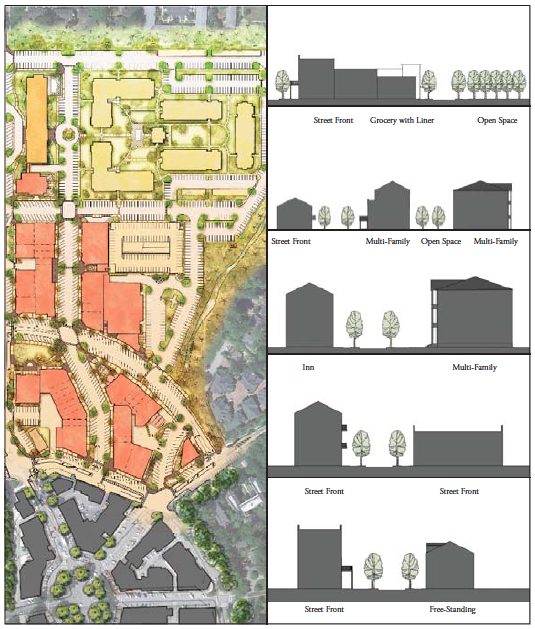 To be seamless extension of Mountain Brook Village that preserves the diversity of its architectural heritage. 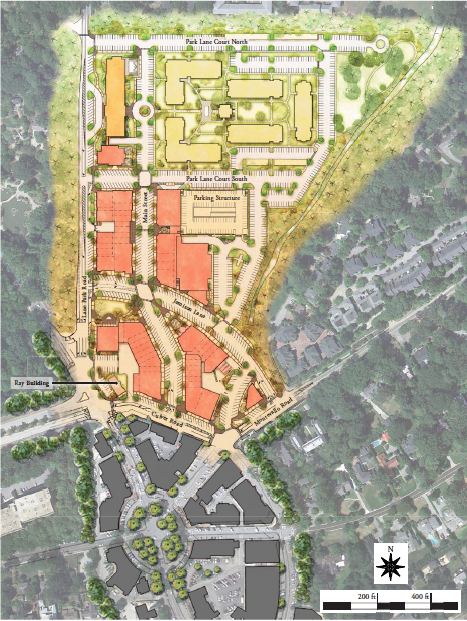 To enhance the Village by cultivating pedestrian connections, adding green-space, improving storm water mitigation measures and providing ample parking. To create a competitive retail environment that will attract an array of upscale retailers which will increase the available revenue base the City uses to support community services and schools. 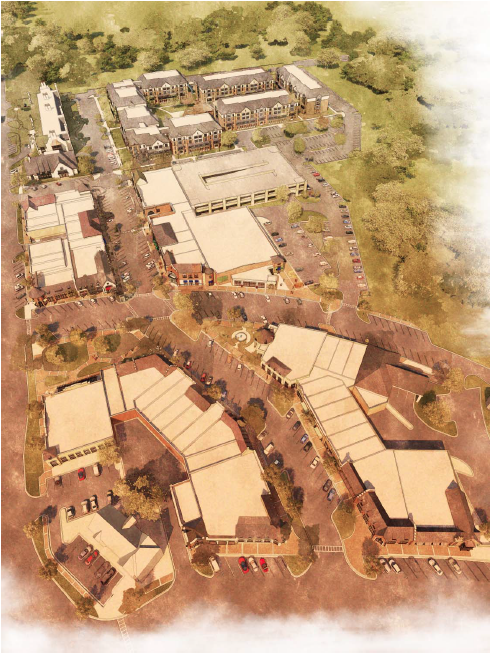 When completed, Lane Park will replace the aging Mountain Brook Shopping Center and Park Lane Apartments with update retail space, upscale boutique inn, office space with engaging streetscapes, plazas, and a park. The Apartments were completed in 2015 with Phase I of the retail space and Inn under construction. 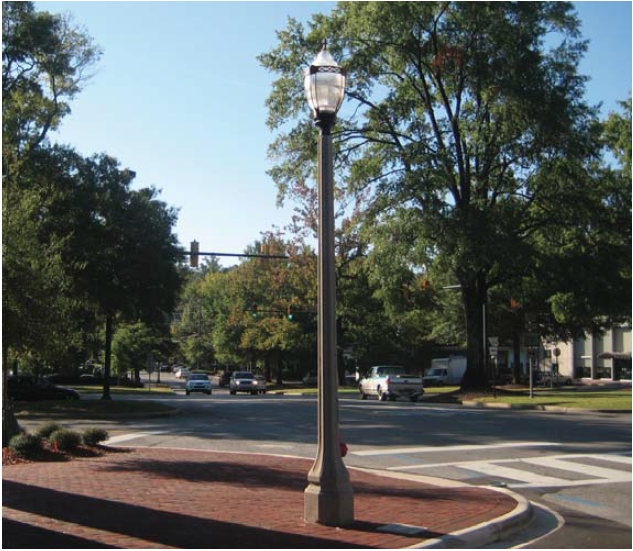 The landscape architect’s role in the development was assisting with the master planning effort, developing the landscape standards for the PUD submittal and design implementation of all exterior areas such as streetscapes, courtyards, plazas, and parks.